Losing your medical coverage is a scary predicament and one that can wreak havoc with your finances if you or a family member needs medical care. Gaps in medical insurance frequently happen due to changing jobs, missing an enrollment deadline or waiting for coverage to take effect with a new employer. And many people are without coverage because they have retired before reaching the required age for Medicare. Nonetheless, if you are without medical coverage for whatever reason, you can bridge the gap with a short-term medical insurance policy. A notable advantage of a short-term health plan is that you can purchase it anytime of the year, and in fact, you can arrange for a plan to become effective as soon as tomorrow or at some future date. Depending upon your state’s regulations, length of coverage can be as short as 30 days or as long as a year. With a varied range of deductibles, maximums and premiums to choose from, you have the flexibility of customizing the policy to meet your particular needs and budget. What’s Covered, What’s Not Covered? These plans are more affordable than standard medical insurance; however, your coverage will be more restrictive. Pre-existing conditions, for example, are not covered under a short-term plan and you can be turned down because of a health condition. Because of their temporary nature, short-term plans usually do not cover substance abuse or mental health services. Some plans require that you use a network of participating providers. So you’ll want to take a close look at the plan’s provider network to be sure you’re comfortable with the hospitals and doctors available. Although by using providers who participate with the plan, you can significantly reduce your out-of-pocket expense. Don’t feel that you are between a rock and a hard place if you find yourself without standard medical insurance. Short-term health plans available through My Generation Benefits have premiums as low as $.59 per day and are just what the doctor ordered to get you through a temporary loss of medical coverage. 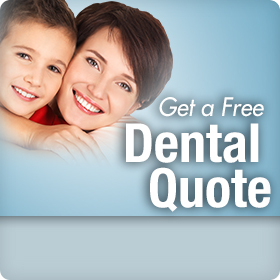 Just click on this link to get your quote today.